A few weeks ago I had a very encouraging conversation with a thrilled believer. 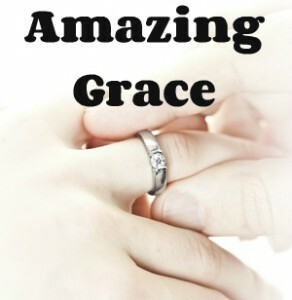 She had read a book about God’s grace and it was a delight to see her so stirred by what she saw there. She described how amazing it is that even though she was so guilty, the judge has paid the full price of all her sins – every last one of them. This young lady was obviously in the afterglow of her encounter with a clear presentation of God’s grace and the wonder of forgiveness. I could have celebrated with her and probably lived off her excitement for a few days myself, but I was slightly concerned. After the amazing miracle of forgiveness, what comes next? Some would say that the new believer needs to be instructed in the code of conduct that comes with their new status – after all, privilege brings responsibility. Others would say that the new believer needs to get used to living in light of their new status. Which way is correct? One? Both? Neither? The amazing grace of the sacrificially benevolent judge has a profound and life changing impact. But how deep does that impact actually go? What if the afterglow of the great gift of grace fades? Then the new believer will surely drift back into increasing sin, only now with assurance of sins forgiven. This kind of ‘free ticket’ would be a dangerous situation. A gospel of grace that is purely focused on a change in status is dangerously incomplete. Consequently, does the new believer need training in a new code of conduct to bolster the status of being forgiven and also to protect them from themselves? I don’t think we have to jump there so quickly. As I enjoyed her excitement about the judge’s remarkable grace I shared another dimension of the gospel story. I said, “You know, it is even more amazing than that,” she looked at me quizzically, “the judge forgave you, and he also proposed to you.” Her eyes widened. She hadn’t thought about it that way. We discussed the ongoing wonder of being the bride of Christ, the ongoing impact of having your heart enlivened to the delight of knowing and loving him, the ongoing intimacy of being united to him by the indwelling Spirit, and so on. The gospel gives us lots to ponder! Let me put this in different words to make the same point. If the New Covenant is merely a status change, then it is not enough. The newly forgiven individual will need some kind of external control mechanism and freedom restriction because their natural inclination to sin will soon break through and take charge. But if the New Covenant is not only about the legal record, but also about the love relationship, then maybe we have a different situation. What if the New Covenant included provision for transformation of the heart, an inside to out supernatural change? What if the New Covenant included provision for the restored presence of the Spirit forging an intimate marital union between the believer and Christ? If this were included then perhaps the newly forgiven individual should be set free to live life to the full in the responsive joy of their new relationship with Christ. That is an exciting prospect, but surely there would still be an inclination to sin alongside that new inclination to please God? Indeed the flesh versus Spirit tension is a reality we all experience. That is why our understanding of sanctification is so important. It is easy to see sanctification as our follow-up work, our responsibility in light of the blessing of salvation. But this shifts the new believer’s gaze right back onto themselves. The message easily becomes ‘trust Christ for salvation and then look to yourself as you strive for your sanctification.’ Paul was no fan of this idea, no matter how well it was couched in biblical language. Walking in step with the Spirit is about living in the reality of the New Covenant – not only learning to live in light of our new legal status, but also growing in our new relationship. The ongoing mechanism for growth is not self-determination, but response to the Son as the Spirit reveals him to us and stirs our hearts to love. However we phrase it, the bottom line is this: our understanding of sanctification needs to be as God-centred and Trinitarian as our understanding of salvation. Well said Peter! It is so common for people to agree that we are saved by grace only to push believers back onto themselves for their sanctification. It is like we don’t believe that Grace is enough and so must add some of our own effort. As Paul asks in Galatians, who has bewitched them? What was begun by the Spirit will you perfect by the flesh? There is a dark and malevolent force at work in our world that causes all of us to doubt what God says. Paul wrote it this way, Christ has become to us wisdom from God, righteousness and sanctification and redemption. Jesus is the author/founder and finisher/perfecter of our faith. Thank you for weighing in on this important topic!